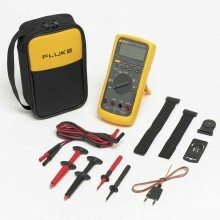 Includes: Fluke 114 Electrical Multimeter, Rubber Boot, Installed 9V Battery, Test Leads and User Manual. 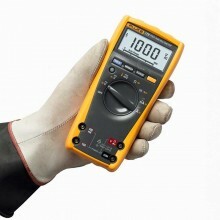 The advanced features of the Fluke 117 help you get the job done, quickly and safely. 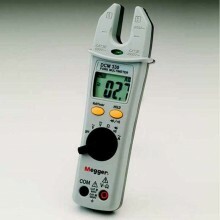 Integrated non-contact voltage detection helps you identify energized circuits. 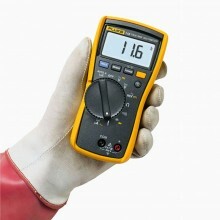 The AutoV/LoZ function prevents false readings caused by ghost voltage. 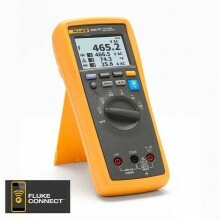 The Fluke 117 delivers true-rms ac voltage and current readings with 6000-count resolution. 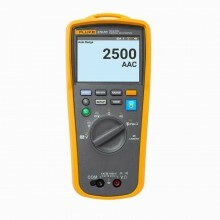 It provides Min/Max/Average readings and measures frequency and capacitance. 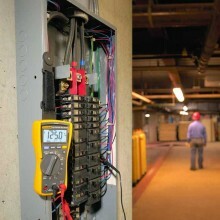 The battery door is easy to access, so you and your Fluke 117 can stay on the job. 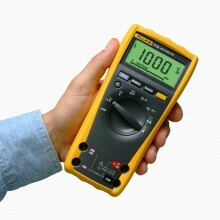 True RMS for accurate measurements on non-linear loads. 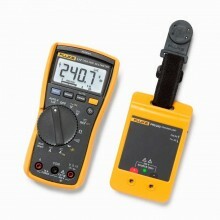 Min/Max/Average with elapsed time to record signal fluctuations. 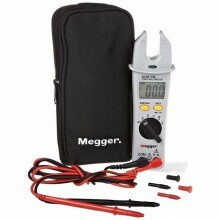 Compatible with optional magnetic hanger (ToolPak™) for hands free operation. 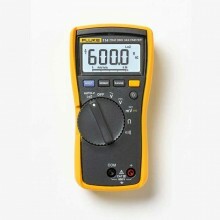 DC Millivolts 600.0 mV 0.1 mV 2.0% + 3. 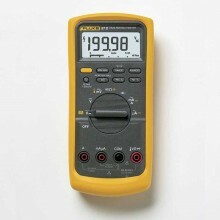 DC Voltage 6.000 V 0.001 V ±([% of reading] + [counts]): 0.5% + 2. 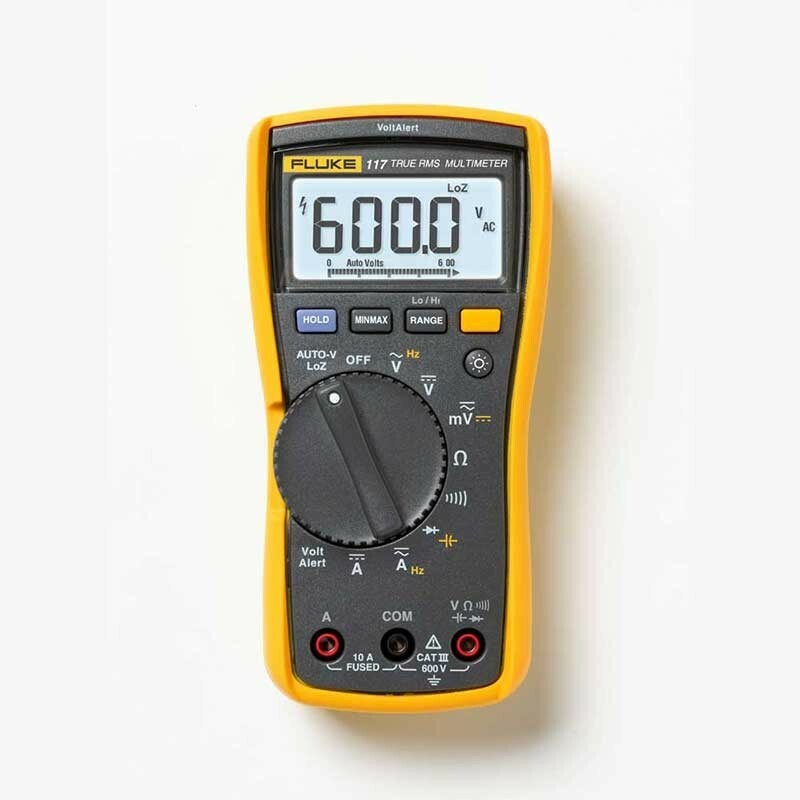 4.0 % + 3 (500 Hz to 1 kHz). 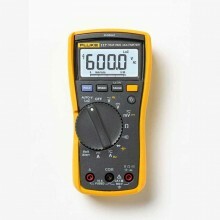 2.0% + 3 (500Hz to 1kHz). 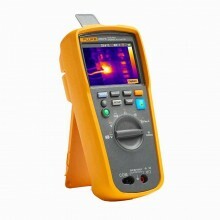 Detects opens or shots of 500 μs or longer. 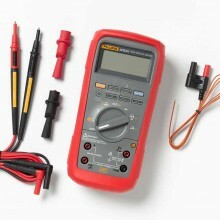 Resistance 600.0 Ω 0.1 Ω 0.9% + 2. 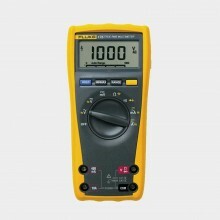 6.000 kΩ 0.001 kΩ 0.9% + 1. 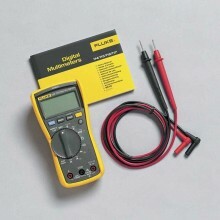 40.00 MΩ 0.01 MΩ 1.5% + 2. 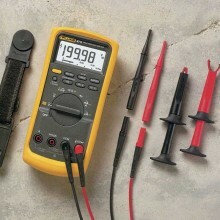 Diode Test 2.000 V 0.001 V 0.9% + 2. 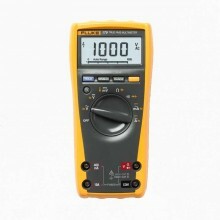 Capacitance 1000 nF 1 nF 1.9% + 2. 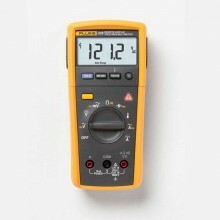 100 μF to 1000 μF - 1.9% + 2. 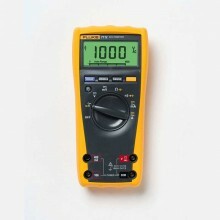 >1000 μF - 5% + 20. 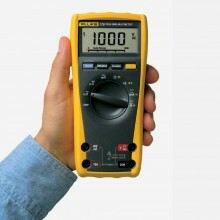 45 to 500 Hz 6.000 A 0.001 A 1.0% + 3. 20 A continuous overload for 30 seconds max. 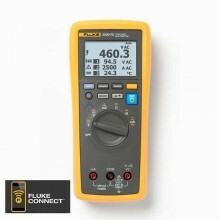 DC Current 6.000 A 0.001 A 1.0% + 3. 20A continuous overload for 30 seconds max. 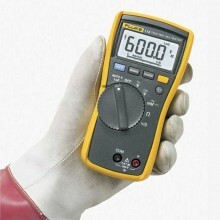 Maximum Voltage Between Any Terminal and Earth Ground 600 V.
Surge Protection 6 kV peak per IEC 61010-1 600V, CAT III, Pollution Degree 2. 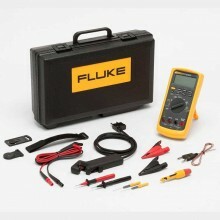 Fuse for A Input 11 A, 1000 V FAST fuse (Fluke PN 803292). 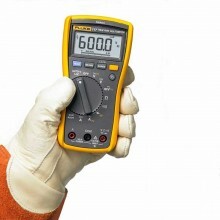 Display Digital: 6000 counts, updates 4/sec. Bargraph 33 segments, updates 32/sec. 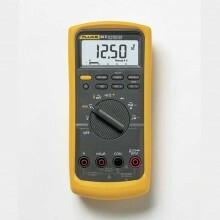 Operating Temperature -10 to +50°C. 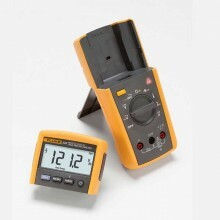 Storage Temperature -40 to +60°C. 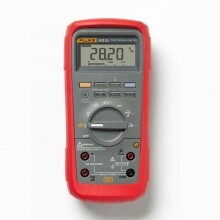 Battery 9V alkaline, NEDA 1604A/IEC 6LR61. Battery Life 400 hours typical, without backlight. Dimensions 167 x 84 x 46 mm (6.57 x 3.31 x 1.82 in). 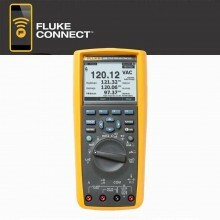 Fluke 117 warranty 3 years. 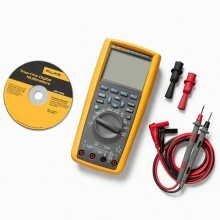 PDF Specifications of the Fluke 117 Digital Multimeter.